Well December has unsurprisingly been a manic one, and a magical one. 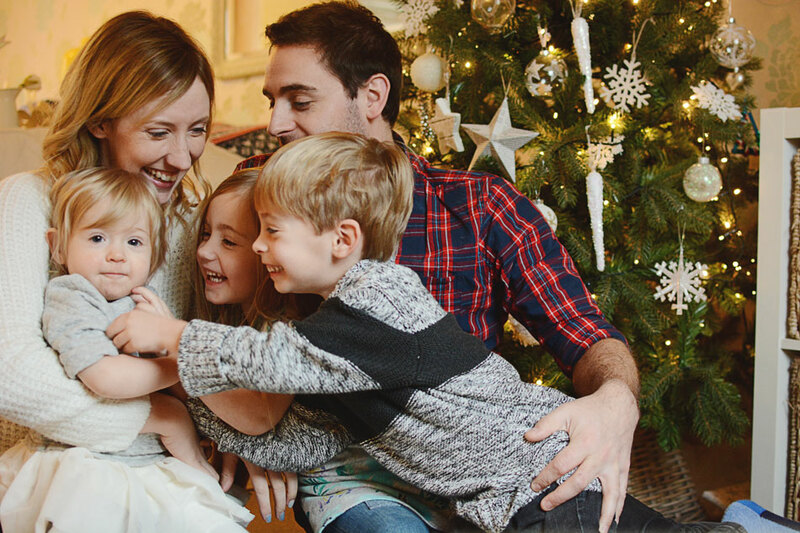 I swear that the only thing that beats being a little kid at Christmas, is getting to be the parent of a little kids (or three!) at Christmas. They just put such a sparkle on the whole thing. Yes, there are headaches too; overtired and overexcited children are always a bit of recipe for disaster, and add in parents who are frantically prepping for the big day (and in this mama's case, also daily vlogging) and you really do have a perfect environment for the odd meltdown. But most of those meltdowns have been mine, and the children all seem to have taken this whole thing with the grace and good humour that only children can. 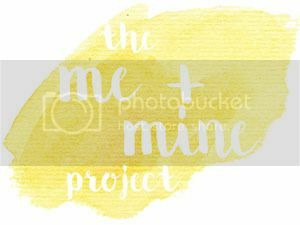 The Me and Mine Project in December had to be about Christmas morning. 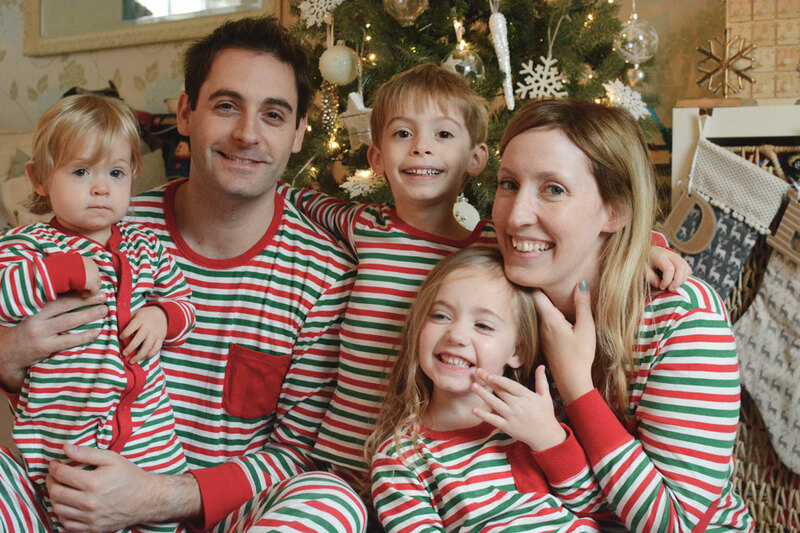 So here we are in our jimjams, fresh from present opening, right in that midst of the most magical bit of the whole day. At this point every year I hesitate about posting our freshly out of bed faces (not the kids I might add, they always look adorable - but mine and Rich's pre-shower and skincare regime faces aren't what they used to be!) but then I figure that it's part of Christmas morning; those tired parents who have been awake for hours either with excited children or simply with their own excitement, thats part of it, right? That's what I'll keep telling myself anyway. And I've thrown in some other Christmas tree shots too; slightly (but only ever so slightly) more awake ones. 2016... done! Another year of The Me and Mine Project... done! 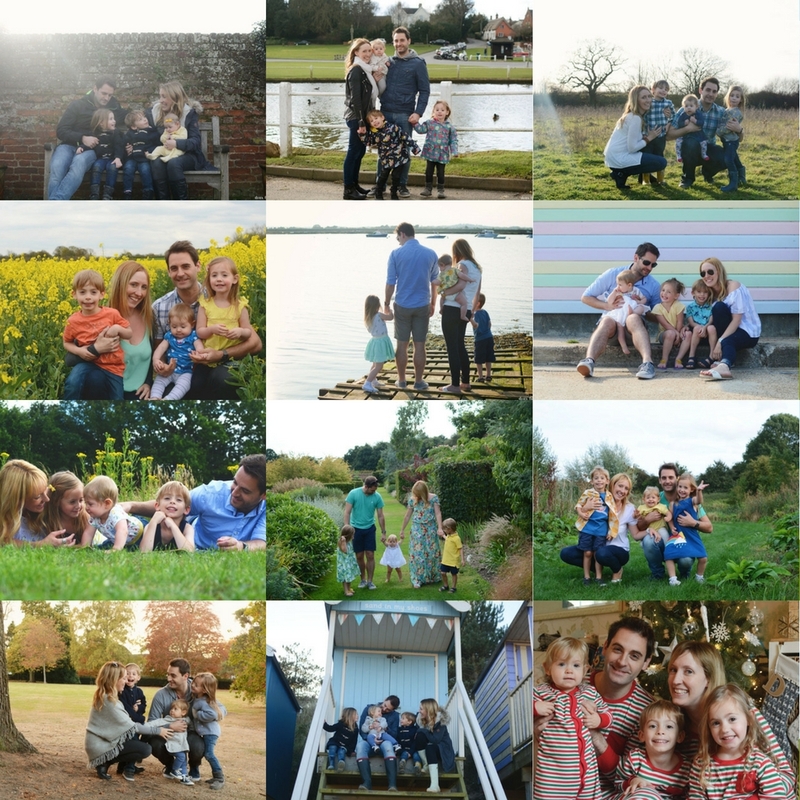 Four whole years worth of family portraits... so happy and grateful and proud that I could cry! I never would have guessed that a new years resolutions that I set myself all those years back, could have grown into something that would still be such an important thing for us. I actually think that the longer we do it, the more it matters; to keep capturing these snaps of us as a family. To never wait for the perfect moment and to just capture us, right now, as we are, in all our imperfect glory... just because. It was makes me so emotional to look back on the year all laid out together. Our first full calendar year as a five. A year when we all found our groove with the dynamics which still felt sort of new back in January, but which feel so natural now. This year really saw our little Quinny blossom from a teeny bubba into a full blown toddler; the change in her is simply massive. 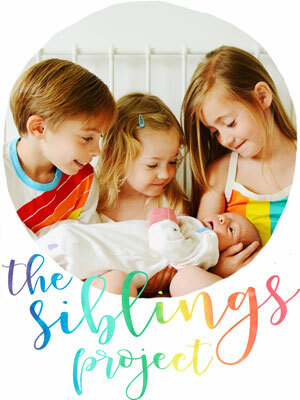 The changes in the older two are more subtle, but it definitely seems like they leave a little more of the baby look behind them with each passing month. But looking back at these photos mainly just gives me 12 lovely memories, because each and every photo tells its own little story; some from full blown adventures or days out, others from simple walks or times spent closer to home. What a year its been for us five. 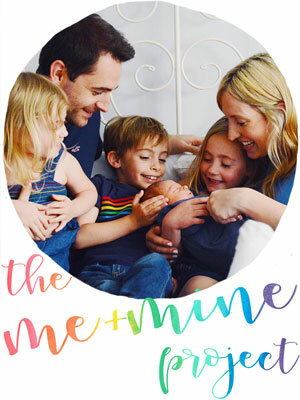 And so all that's left for me to say, for the final time in 2016, is to remind you to make sure you tag your family photos with #meandmineproject on Instagram, so we can share some of our favourites. And link up your family photos at the bottom too, I can't wait to see them all and I'm already anticipating a sea of festive family snaps. 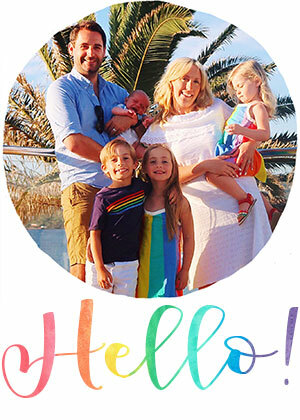 Of course, do remember to pop by my cohost's blogs and see what Alex, Fritha, Jenny, Katie and Lucy's families are sharing this month too. Lovely festive photos. Thankyou so much for creating and hosting this project. I love being involved. Happy New Year to you and your family. Great photos as always Lucy, I love how relaxed and fun your pictures are. Something I hope to work on more in 2017. Happy New Year! Your collage definitely shows that you love spending time outside. I love the festive photos. The stockings in the background are beautiful. I can't wait for another set of 12 family portraits. 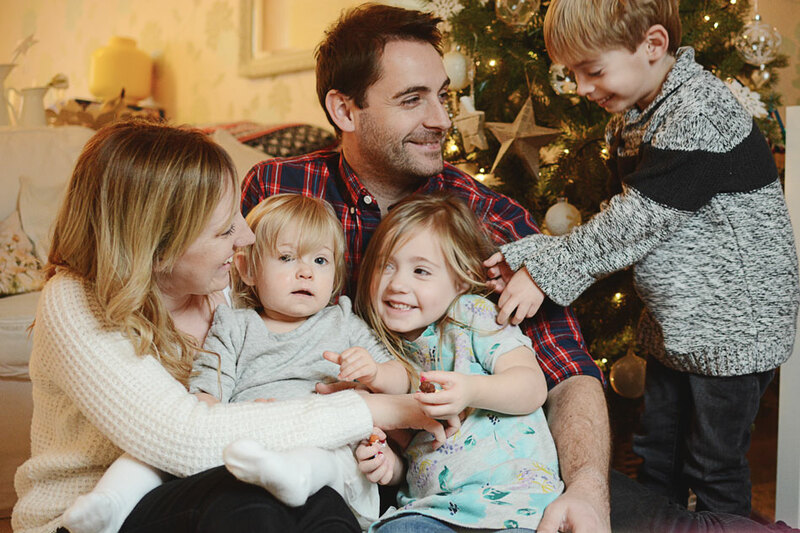 Lovely christmas pics... i love the one of you all dressed and smiling, though the PJs ones are an essential! Yes being ratted but giddy is all part of it. And you are right, it is so much more exciting when you are a parent to excited kids. There is way more magic and joy! 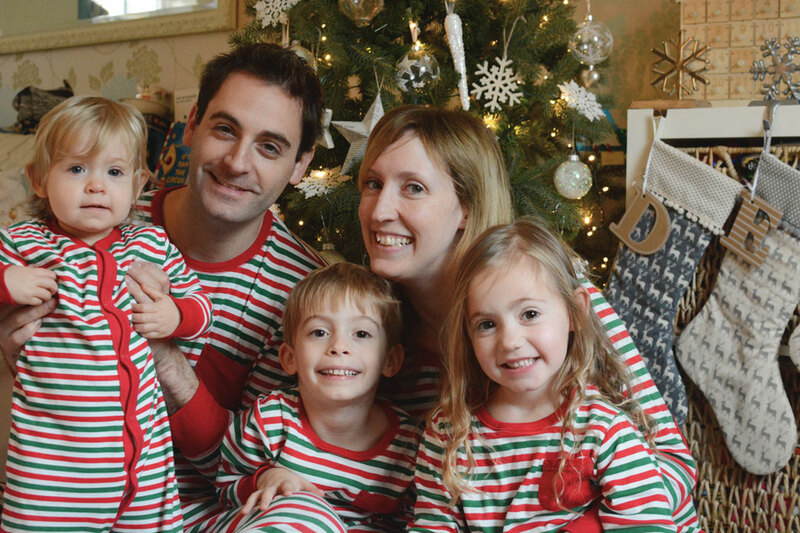 These are such lovely photos - I love your matching pyjamas! Looking at them now though, doesn't Christmas seem like such a long time ago!